Her comments immediately went viral. 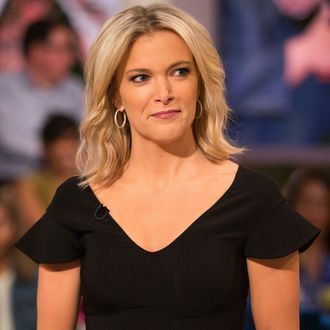 The now-former Megyn Kelly Today host issued an apology for her remarks, but the damage was done: Her Today co-hosts Al Roker and Craig Melvin publicly called her out on air, and NBC News chairman Andy Lack formally condemned Kelly’s remarks in a company-wide meeting. She was quickly taken off air, and her Today hour was canceled shortly after. Later that day, the WSJ confirmed much of the gossip column’s report, citing “people familiar with the matter” as saying that the deal could come as early as next week. According to the WSJ, Kelly’s deal will likely have her walking away with the full remainder left on her contract — she currently has a little more than half left — which would result in a payout of at least $30 million. Kelly and NBC are reportedly still negotiating over nonfinancial components of the contract, such as nondisclosure and noncompete clauses. Megyn Kelly Never Belonged at Today. The Blackface Debacle Just Proves It.